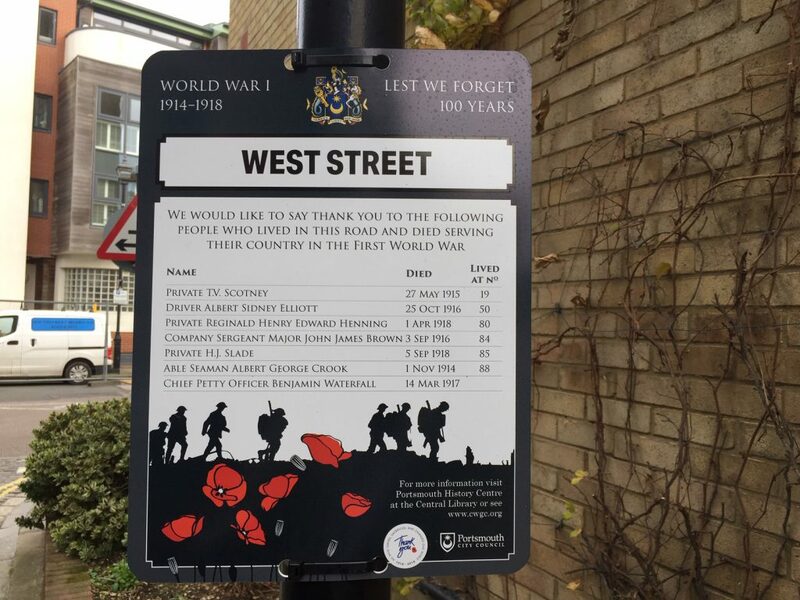 Portsmouth City Council has found an imaginative way of honouring the soldiers and sailors who sacrificed their lives with a moving one-of-a-kind tribute on the streets of the city. 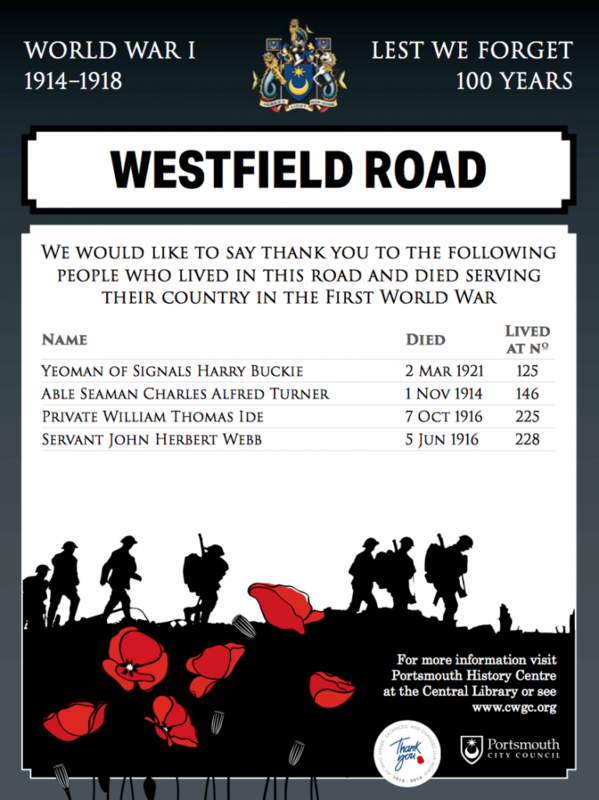 In the run-up to the 100th anniversary of the end of the First World War on Sunday November 11, signs will go up in 846 roads across the city to mark the names of nearly 6,000 servicemen who died. It’s such a touching way to honour the fallen and really brings home the scale of the devastation suffered by families across the city. Bringing the names of the dead to the streets where we live makes the loss of these young men even more palpable – we are walking in their footsteps. With ceremonies planned across the country to mark the centenary, it is the relative simplicity of this tribute (and the hard work of James Daly, a researcher at the D-Day Story in Southsea) which makes it so effective. Tucked away on the stairwell on the Osborne Road entrance to Debenhams is another memorial that brings home the full horror of the First World War. 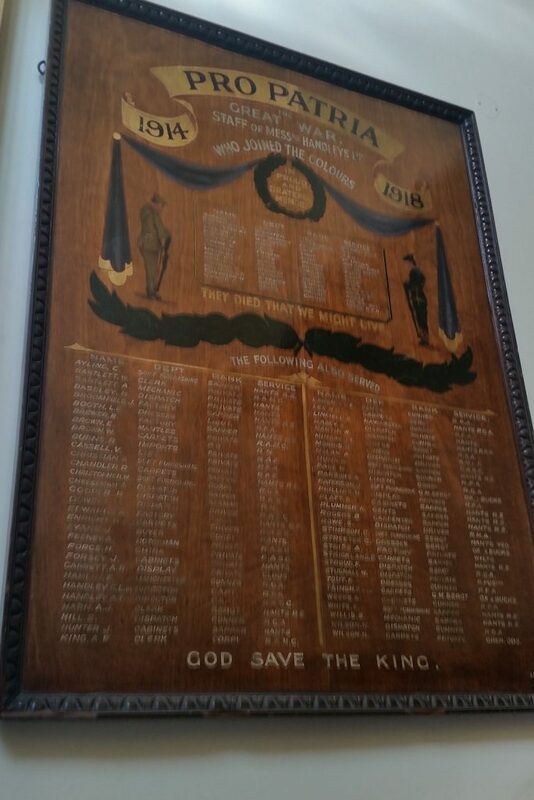 The memorial dates back to when the site was occupied by Handleys department store and is a beautiful reminder of the 61 staff members who fought in the war – and the 15 men who sadly never returned.